This dignified EPS Foam monument sign is a standard model with a custom cutout HDU letters and faux used brick facade. 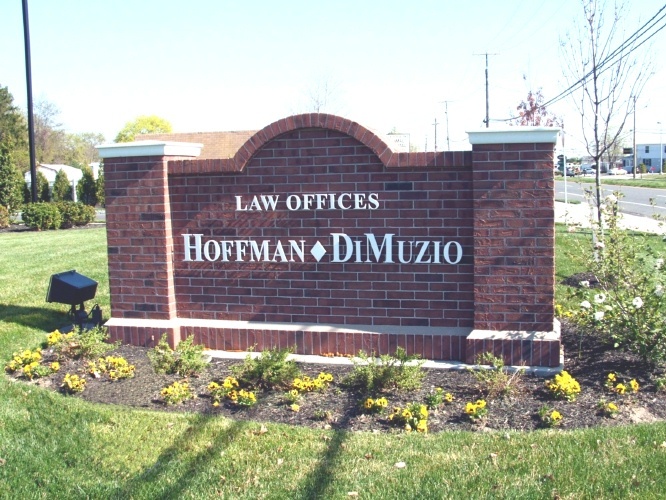 There is a wide variety of shapes, sizes, colors, surface textures, including stone, brick, stucco and marble, for law office entrance and monument signs. These signs have excellent craftmanship, are very rugged and long-lasting, and are easy to ship and install. We custom make the HDU or wood signs for easy integration with the monument base. Please visit Gallery 6 (click on numbered gray box in left margin) for information and examples.